Steve Castellini has grown up on boats. Since he was 5 years old his family has owned a small fleet of boats and still does. Small and large they have owned and operated many including a 62’ Norseman, a 55’ Hatteras, a 38’ Evans, and a 36’ Jersey Devil to name a few. 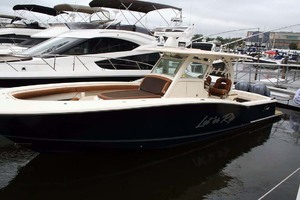 Currently Steve is operating the family charter boat “Uncle T” a 47’ Buddy Davis and captaining a clients 62’ Titan Custom Yacht and has had tremendous success doing that. 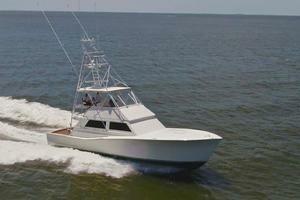 The 62 Titan has caught over 100 billfish out of Cape May in 2012 and are about to reach that mark again this year. The past 15 years while operating the Buddy Davis in charter, Steve has built and rebuilt several boats. His current project is a 38 footer being powered by 400hp Daewoo’s. 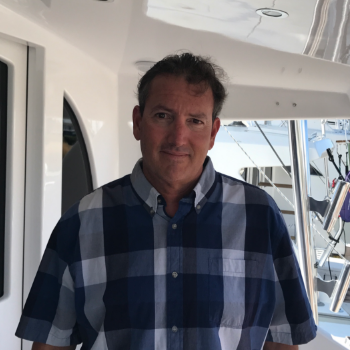 Since 1992 when Steve obtained his Captains license he has developed a massive book for charters. Steve has fished the Uncle T all over. People know the name because he is often on the leader board in tournaments. Home Ports have been Cape May, NJ Ocean City, MD Stuart, FL Morehead City, NC Isla Mujeres, MX and the Bahamas. 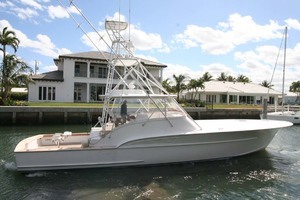 Steve has fished and delivered boats from Nantucket down the east coast to Bahamas, Mexico, and St. Thomas. He has delivered for many private owners, their boats being American Custom Yachts, Buddy Davis, Cabo, 102’ Hatteras Motor Yacht, 65’ Hatteras, Egg Harbor, Jersey Cape, Monterey and the list goes on. Steve’s fishing success has been in numerous tournaments and state records. With over 3000 billfish releases he knows the demands of a fishing boat and has proven himself with over 30 tournament wins. Steve won the opening year of the Mid Atlantic $500,000. He then came back in 2006 to win it again with the heaviest white marlin. 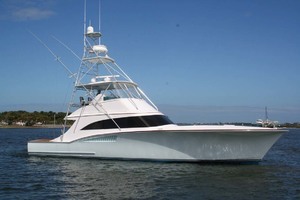 In 2009 they were bumped off the board and ended in 4th place with their white marlin. Maryland State Longfin Tuna record, White Marlin Open first place tunas, OCMD tuna tournament, and Pirate’s Cove Sailfish tournament just to name few. 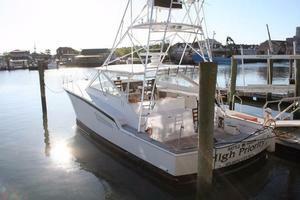 He also has fished Morehead City for the Giant Bluefin tuna season. In 2007 he landed a triple header of Giants one at 700+lbs and two in the 600lbs range. Steve’s background and knowledge of boats comes from hands on training and a life time of experience. His knowledge he desires to share with others in their purchase of their next boat. Steve will ask you of your demands and then fit you to the perfect boat. If you are looking to sell, his contact list is endless.